✅ Trip Verified | The staff in this airport are very rude. They treat visitors like prisoners. Would need to see the manager to complain again if they never take any action on changing their attitudes towards visitors. Very bad experience. Not Verified | If you’re arriving at the Phuket airport and you’re thinking about booking a tour go to the Taxi and Minibus stand at the airport. They will give you a tour which was actually cheaper than on Viator and your taxi ride is free! You’ll save over 1000B. If you book two tours you’ll get your ride back to the airport free. I was pleasantly surprised. ✅ Trip Verified | This airport experience is not as bad as many holidaymakers' make it out to be. And yes both arriving and departing did take a rather long time at immigration, due to not enough booths open and many flights arriving at the same time. I guess I was lucky to arrive in the middle of the night, and get pass passport control and collect my baggage within an hour. On my departure, finding my check in desk got me parading up and down the terminal a couple of times - as the signage was not that clear. The staff although friendly, gave me different directions, and wasn't really an issue, as it's not a huge terminal to walk anyway. However the airside was very pleasant. Set in two levels, with plenty of seating, and architecturally spacious and modern. You couldn't miss the gate numbers, displayed big and bold, and the Duty Free shopping areas looked elegant. There were several small eating outlets and shops, including a 'Boots'. The staff were very helpful too, and when I was searching to buy genuine Thai Tea, one escorted me from shop to shop until I found it. I would give this airport thumbs up. ✅ Trip Verified | My battery pack was taken by security when it was 1500 amh as it was showing 1.5A, the staff did not know the simple conversion so they withheld the pack. I told them that the capacity had been checked when I arrived in Bangkok and it was acceptable as it was less than the 32000 limit, they called me a liar. There were 5 customs officers and 2 supervising staff who laughed when we tried to show them the conversion on the internet. This is highly unacceptable, they had no right to withhold the pack so where do I stand now? As far as I am concerned this is negligence and theft. ✅ Trip Verified | There are lots of negative reviews for this airport, but our experience was much better than anticipated after reading other reviews. 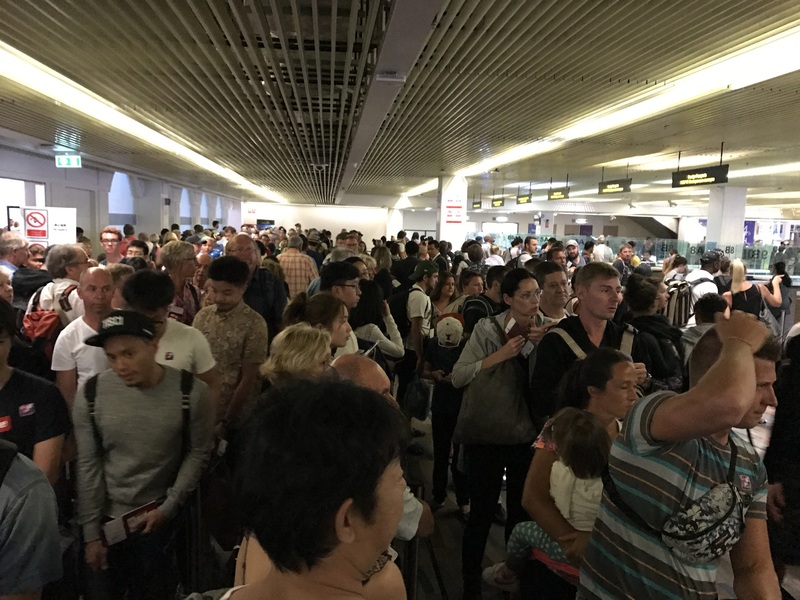 Arrival was worse than departure, on arrival there were long queues for immigration, which moved at a snails pace. They take everyone's photo as they process you and lots of people didn't appear to have filled in the arrivals cards properly, landing at 8pm it probably took a full hour to clear immigration. Luggage was waiting, and on the floor in arrivals hall, when we finally got through immigration. They obviously needed the carousels for flights arriving after ours. Our departure experience was much better, departure area is very modern, short and well organised queues for check-in (we arrived 2.5 hours before a 9am departure). Plenty of staff, short queues for immigration and security. Plenty of seating, and a reasonable selection of eating and shopping outlets in the departure area itself. You have to bear in mind this airport is not a major regional hub, so set expectations accordingly. Small kids play area which is not finished, and therefore inaccessible as of mid-April. Air bridges and departure gates all worked well, boarding was very efficient. ❎ Not Verified | DXB-HKT-DXB: Overall airport was average. Seating was awfully limited and dirty. When landing it was late. Airport was big enough for a small island like itself and check-in and security desks didn't have long lines and staff were polite. Many security staff and employees. Food options were quite limited aswell. If this airport's your only option then I recommend it otherwise maybe if possible use Bangkok as your hub or whatever because its bigger and better. ✅ Trip Verified | With bunch of tourists coming to Phuket every day it would be a definitely good idea to organize the airport’s work and take care of its cleanliness better. This is the worst airport I have ever been to so far. I didn’t expect that the 3 last hours in Phuket to turn out to be the worst during the whole vacation. I am Russian. I was going to China from Phuket having a business visa with 90 days of stay. I was the only foreigner in the queue. First of all, the queue to check in desk was unorganized. 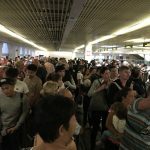 When it was my turn, the staff at check-in desk told me that they can’t check me in because I don’t have a ticket from China to Moscow. And they were assuring me that I need to buy a ticket otherwise they can’t check me in for the flight. Which was totally absurd. Having had 3 Chinese business visas before I told them that the plane ticket back to Moscow is not necessary to cross the border of China with Chinese business visa, because I don’t know for sure yet if I leave in 1 month or 2 months. Arrogant check in staff asked me how can they know that I don’t overstay my visa. How can they be sure that Chinese immigration will not send me back to Thailand if I don’t have a plane ticket. That’s the first time I encounter such a ignorance. They were telling me that they asked the airline about this issue and I need to show the ticket to check in staff to get to my airplane. While I was trying to solve the problem and assure that the Chinese immigration law doesn’t require the plane ticket if someone crosses the border with business visa with 90 days of stay the check in was almost closed. Taking into account that I didn’t have enough money in my bank card to buy the ticket to Moscow I started to panic. Staff was super rude and didn’t try to help me at all. Finally I bought the ticket from China to Hong Kong as they were the cheapest one on the website (the money I had in my bank card was just enough to buy the cheapest one). Now the staff said that the the ticket wasn’t issued yet so I have to wait. Can you imagine how absurd this situation was. The check in closed and I was the only one staying there and waiting for the ticket to be issued on the website and it could take up to 45 minutes. Long story short, I bought the ticket and finally they checked me in and thanks god I didn’t miss my flight. And of course no one at the border of China asked me for the ticket back to Moscow or anywhere else. I had to buy the ticket just to show that rude staff at check in desk. I just hope that in the future the check in staff will be less ignorant and no one else will have problems as I did. ✅ Trip Verified | Arrival: A large regional airport serving a busy tourist island in Thailand. It appeared that we were on the only plane to have landed at Phuket Airport. We sailed past Immigration and had to wait for our baggage. This duly arrived within about 30 mins. Departure: A quick walk to the check-in desk, through immigration and security. We were though to the airside of the airport within 30 mins. There have been many comments that Phuket Airport is very busy and perhaps, it was because we were visiting Phuket in the low season. Hence the quick and painless journey through the airport. Or we were just plain lucky. ❎ Not Verified | Dreadful welcome to Thailand. Three hours of queuing to get through immigration. No organisation or direction of queues, no staff to help. More desks were opened during the 3 hours but the passengers from the flight behind us jumped on them and got through before us! We were dreading coming back through the airport to get home but were amazed as it was like a different airport in departures. Proper roped lanes with staff directing, we got through in no time. If only they would put the same into place in arrivals! ❎ Not Verified | Unfortunately this is the worst and most unorganised airport we have ever been to. 4 hour wait to get through passport control. Lack of staff and not all booths were open. After a long journey it was a very stressful experience. Please employ more staff Phuket airport.